What kid does not love teddy bears right!?! My son certainly does. He can clearly ask for Bear when its time to go to sleep. Each time he gets a new stuffed animal his collection grows. He has 4 stuffed animals, 3 pillow pets, 2 Blankets and 1 Binkie that he insists he needs to be able to sleep. Its so very cute. His latest addition to his collection of stuffed friends is his new Bear from Huggable Teddy Bears. My son loves to cuddle bears and give them kisses. Its beyond sweet. But then again he does throw them across the room yelling Weeeee and jumps on them so he has his fun with them as well. 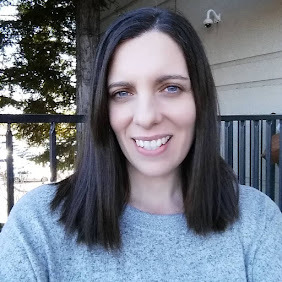 While I was looking around online at the huggableteddybears.com website I found a few low priced cute bears. 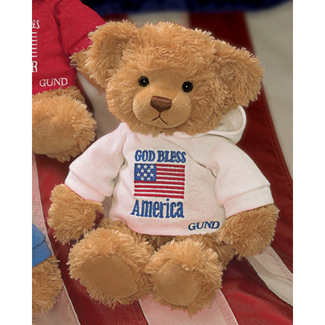 One of my favorite bears is the GUND God Bless America bear. He looked really soft and cuddly wearing a hoodie sweatshirt. When the bear arrived my son was beyond excited to have a new bear to add to his collection of stuffed animals. He immediately hugged it and patted him on the head. After a while of playing with him my son wanted to take off the bears sweatshirt. He took the shirt off the other bear we gave him for Valentine's day last year. He tried with all his might to get the bear to take off his sweatshirt. I guess in his world bears dont wear clothing. The sweatshirt is sewn to the bear which had made my son fairly mad at the bear lol. 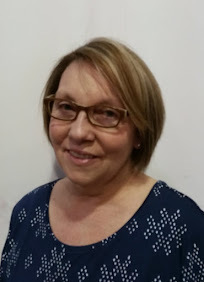 I am thinking I might cut off the sweatshirt and sew up the small holes it might make to cheer my son up. The bear is cute but a bit expensive for how little he is. But he is a GUND bear and those tend to cost more for the quality. Bears always make a great gift for a kid on Valentines Day. Huggable Teddy Bears has lots of Valentines gift products and you can even have a custom shirt made for your bear. You can follow Huggable Teddy Bears on facebook to get all the latest news in the world of teddy bears.